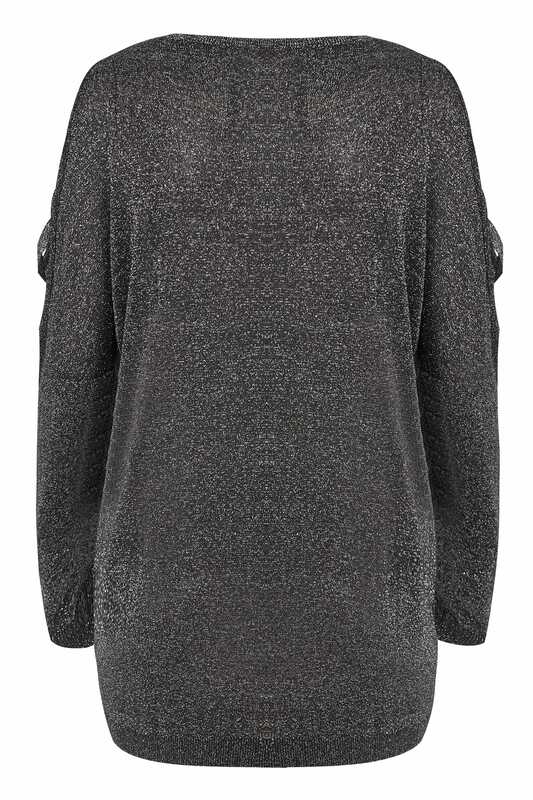 Contemporary and chic, this metallic jumper is the perfect piece to add to your party wardrobe. 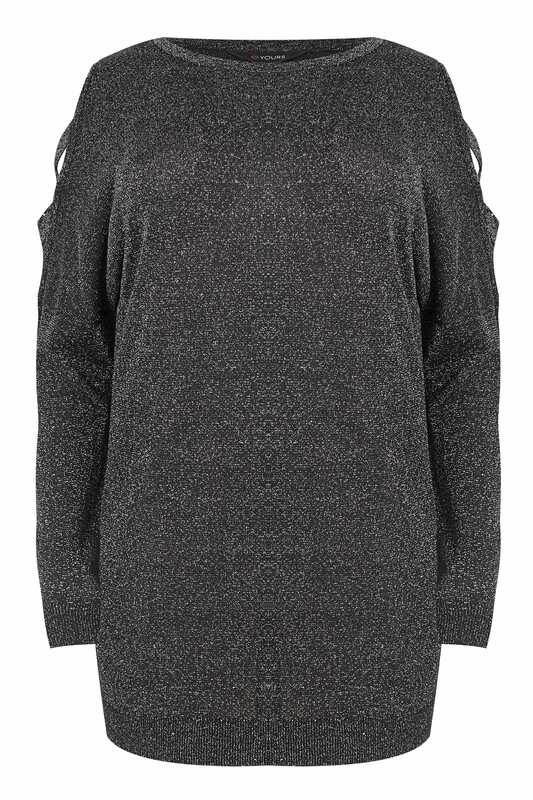 In a flattering longline design, it features stylish lattice shoulders and long batwing sleeves. Lightweight enough to wear on its own or over a cami, team it with black skinny jeans and heels for effortless evening appeal. It will be sure to add some sparkle to your step.